Portraits have become an excellent way to show the dramatic effects of cosmetic dentistry. Patients relate better to attractive “before and after” portraits than they do to closeups of teeth. Until now, you had the option of using the clinical flash (direct, harsh portrait lighting) or setting up a portrait lighting kit (soft, attractive lighting) that takes up a significant amount of room and is complicated to implement. PhotoMed‘s “Quick & Easy” Portrait Package makes taking beautiful portraits incredibly easy. 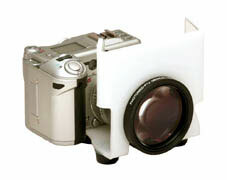 The custom flash diffuser was designed by a professional wedding photographer. Light from the flash is redirected in all directions. The result is smooth, even lighting without harsh reflections or deep shadows. 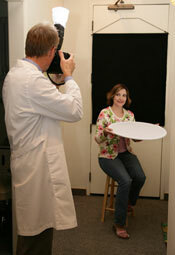 The “Quick & Easy” Portrait Package is available for Canon and Nikon cameras and the components are available separately. Go to: PhotoMed "Quick & Easy" Protrait Kit for more information, sample images and pricing on the complete package or individual components. There are only a handful of Canon factory refurbished G6s left. While they last, we are offering the refurbished G6 kits at only $999 for our newsletter audience. The G6 page on our web site lists the refurbished models at $1095. Please mention "the July newsletter" when you order to get this special pricing. 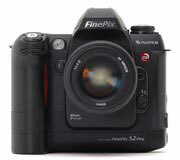 The Fuji S2 Pro was the best digital SLR camera of its day and is still used everyday by thousands of happy dentists. If you are looking for a new Fuji S2 or would like a backup for your existing S2, we have a few brand new ones left (we bought up Fuji's remaining stock). They are priced at $1195 (body only, as packaged by Fuji). Call us at 800-998-7765 if you are interested in getting one. Through July 15th, Canon is offering rebates on the Rebel XT and 5D digital cameras as well as their 100mm macro lens, ring flash and dual-point macro flash. Listed below are the rebate amounts. 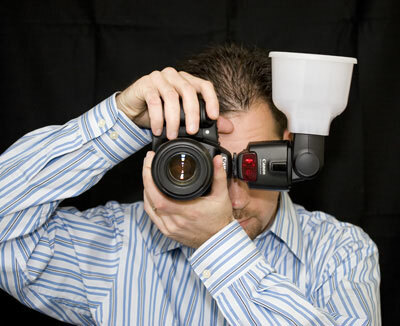 Visit PhotoMed at the Pacific Northwest Dental Conference in Seattle, WA, July 13-14. We will be in booth #1001. We'll be showing all of our cameras as well as the Portrait Kit and Combo Intraoral Mirror.